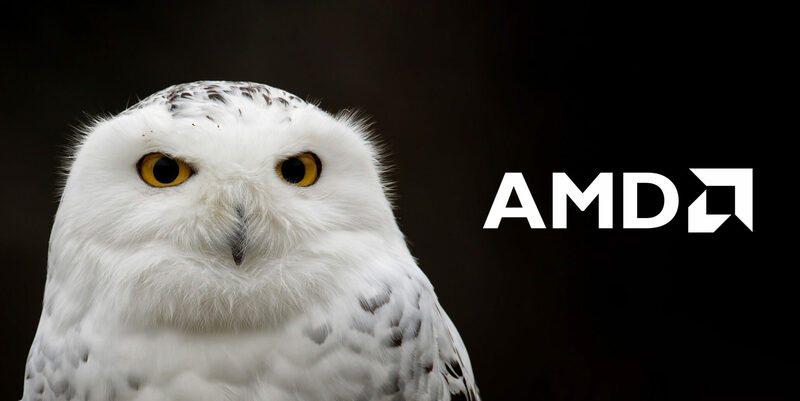 Information about AMD’s upcoming Snowy Owl platform has surfaced, specifically the code name for the first processor which is going to be EPYC 3251. The processor is going to ship in an embedded SoC form factor with the SP4r2 BGA Socket. 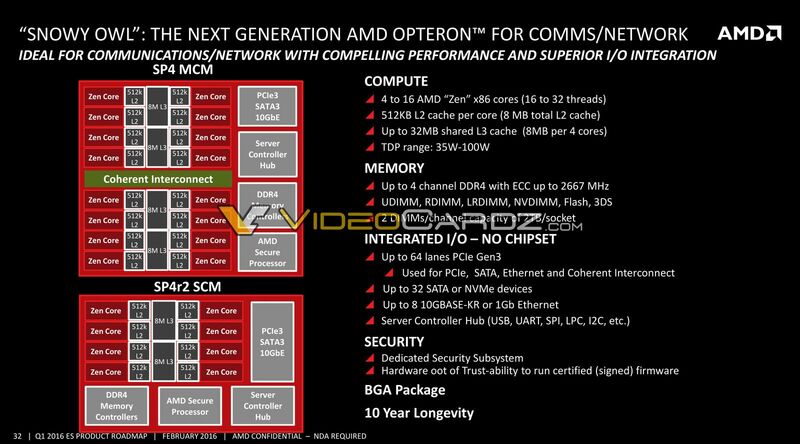 This is going to be a very interesting product from AMD and will usher in the family of one of the most powerful embedded SoCs around and AMD’s comeback in this particular segment of the x86 market. The Snowy Owl platform can be considered the younger sibling of the full blown Naples platform (EPYC 7601 etc) which scales up to 32 cores. Snowy Owl on the other hand, scales up to 16 cores only and will consist of two different tiers: Multi Chip (MCM) and Single Chip (SCM) variants. The MCM variant will scale up to a maximum of 16 cores / 32 threads while as the SCM variant will scale up to a maximum of 8 cores and 16 threads. One product name for the Snowy Owl platform has been revealed as the EPYC 3251 SoC, although it is not clear at this point which particular variant this refers to. The original release schedule by AMD slated the MCM variants to release first, but the nomenclature seems to suggest a lower variant (AMD uses EPYC XX51 branding to denote lesser variants and XX01 to denote the higher powered variants, I would expect the more powerful variant of this family to be called the EPYC 3301). 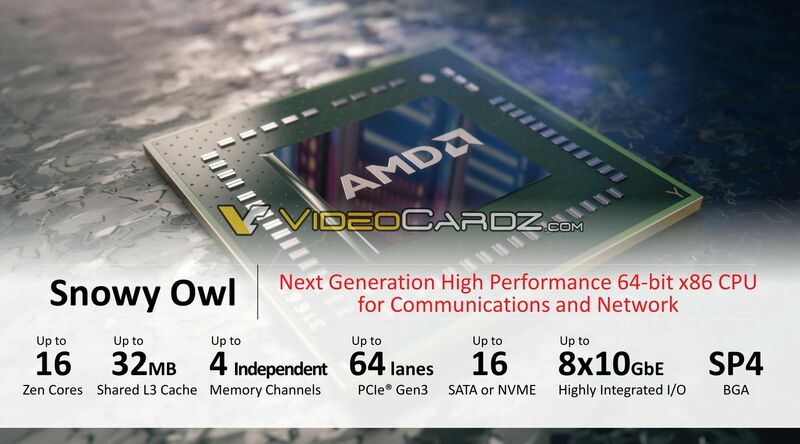 This also reveals that AMD is going to be using the EPYC 3000 series nomenclature for the Snowy Owl platform. The Snowy Owl platform has quite a few advantages over the Intel Xeon-D series. Snowy Owl’s flagship SKU will have cache up to 32 MB (L3), up to 4 memory channels, up to 64 PCIe lanes and support USB 3.1. All of this will be provided within a configurable TDP of 35-100 Watts. Xeon D features up to 24 MB L3, supports dual channel memory and up to 32 PCIe lanes with USB 3.0 support. This slide is from an old leak, but should be accurate in terms of the technical specs. Xeon-D’s flagship has a TDP of 45 Watts, but that is because it is clocked low, the higher clocked 12-core variant sips around 65 Watts TDP. The only information on the Snowy Owl platform we don’t have right now are the clock speeds, which will naturally make quite a difference. If it follows AMD’s usual pricing philosophy, it will be set to undercut Intel in terms of pricing as well. Snowy Owl/Naples will be succeeded by Starship in 2018/2019.